Barrier Lake off Highway 40, Kananaskis, Alberta. 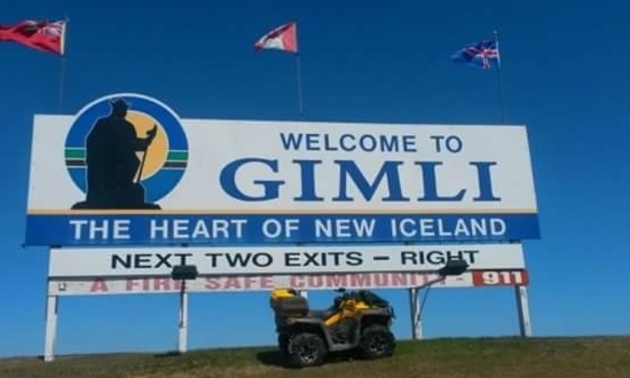 Highway 40 is probably the most popular day trip from Calgary. It winds through the front range of the Rocky Mountains offering spectacular mountain, river and lake views as well as abundant wildlife viewing, picnicking and camping opportunities. 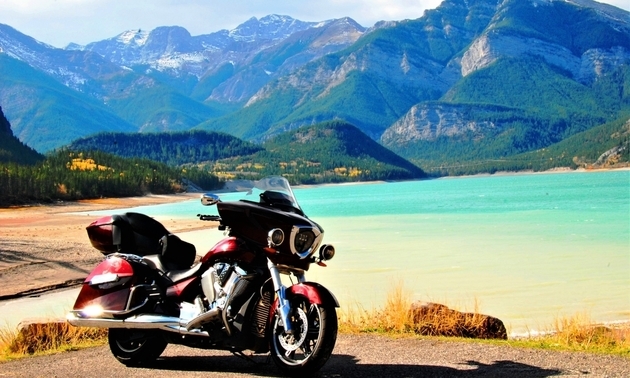 Bike is a 2010 Victory Cross Country. This was our winning entry for April, 2018. Congratulations, Drifter Don! Flooding on the KVR, over the May long weekend 2017. "I didn't have to say smile for the camera!" 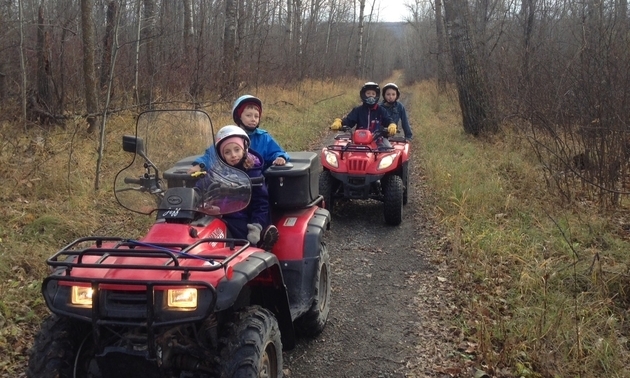 Chelsie, Paul, Joshua, and Neil MacAulay, enjoying a fall ride on their new Arctic Cat 150, with their dad. 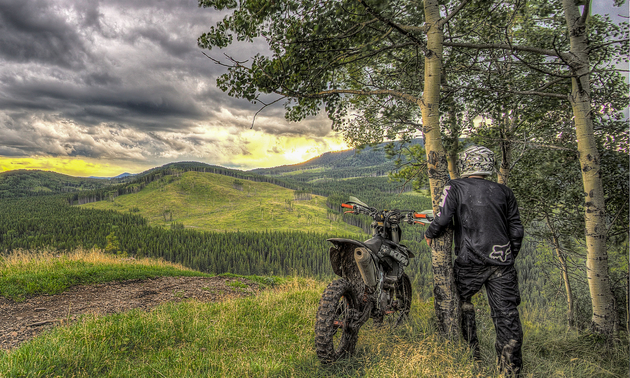 Get out and ride - the world is yours to explore. 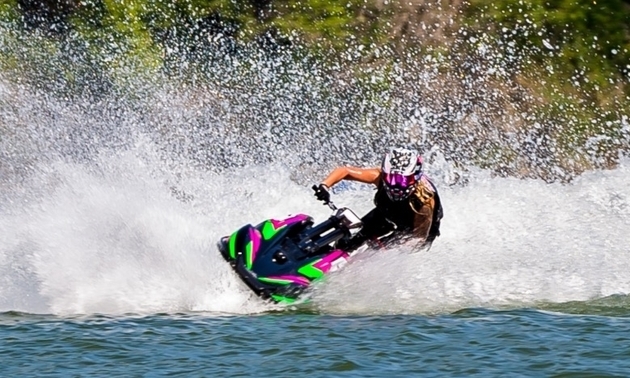 Carla Hunt made her return to the jet ski racing scene this year after a hiatus of about 4 years. 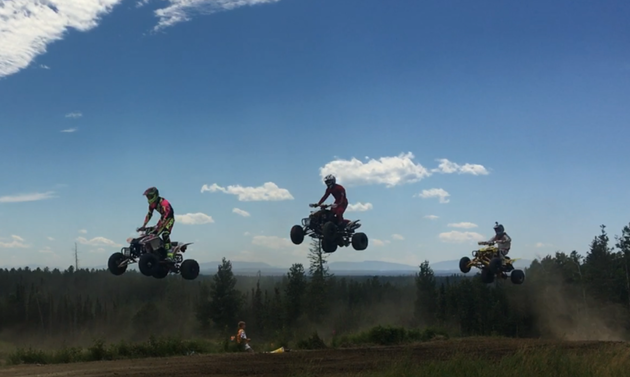 Tight racing at the Triple Crown series at Rocky Mountain House. Beautiful day and some exciting racing! 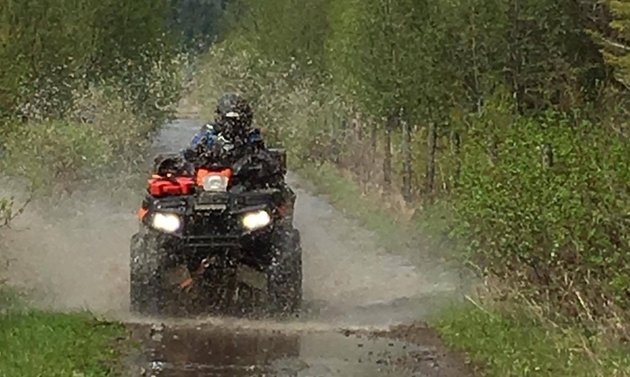 "Just a little riding in the Comox Valley. 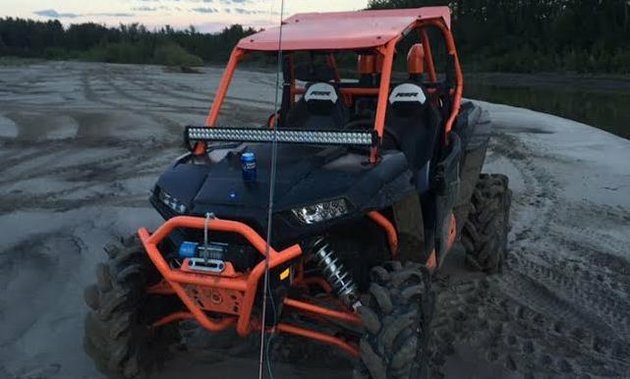 Summer or winter, we try and get out whenever we can. The back country is picture perfect. These pictures are all taken near or around Comox Lake. Comox Lake is a large glacier-fed lake near Cumberland, BC on Vancouver Island that offers excellent freshwater fishing. 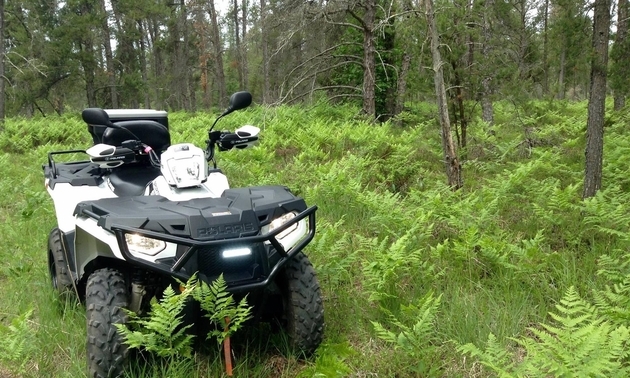 The lake, in the middle of a forested wilderness, offers great times in addition to fishing including hiking, swimming, boating, canoeing, biking and huge amounts of relaxation." "After filming everyone going through, this image was caught by accident as I was catching up to the pack. 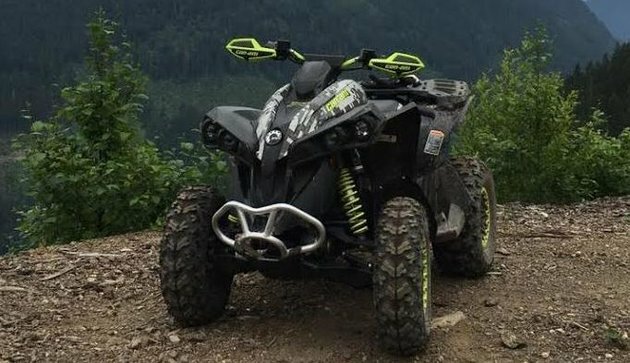 Showing the power of the Extreme ATV Offroad built 1020BBK800R." 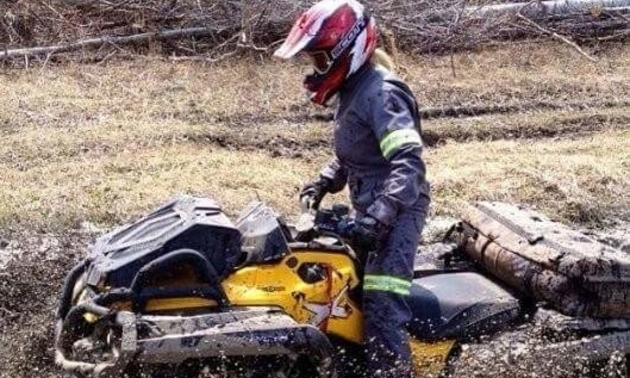 This rider was enjoying the exhilaration of a terrific jump! "She won't look like this for long - we are currently stripping it down to add it to the Hellenbach Race team fleet!" 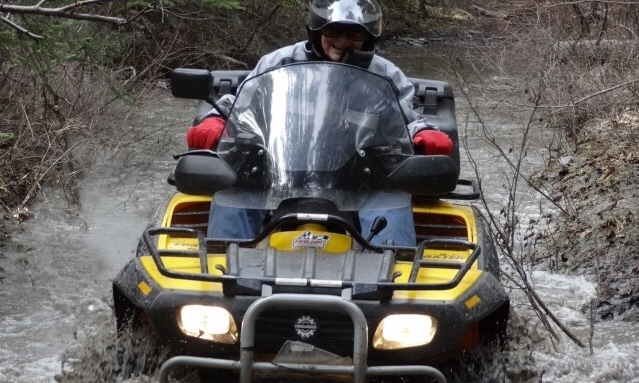 "On a spring ride every year - my wife still doesn't want a boat." 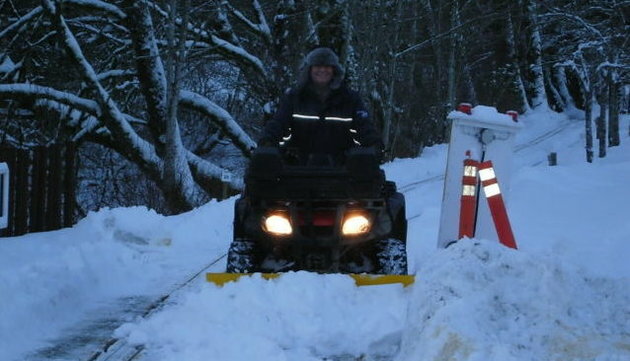 "Clearing the mini-rail track with my 2006 Honda 400 GPS Escape so the mini-rail Christmas train can keep its schedule." 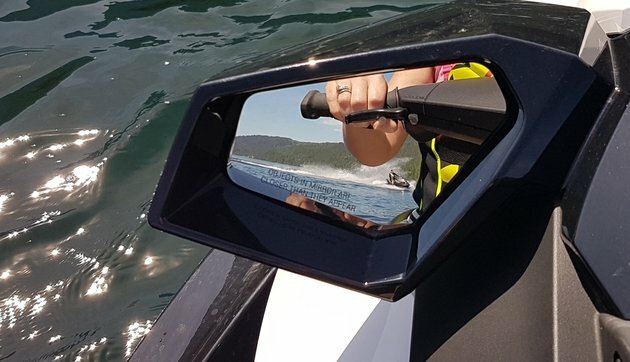 "Who puts their Sea-doos in the water on the May long weekend? We do! 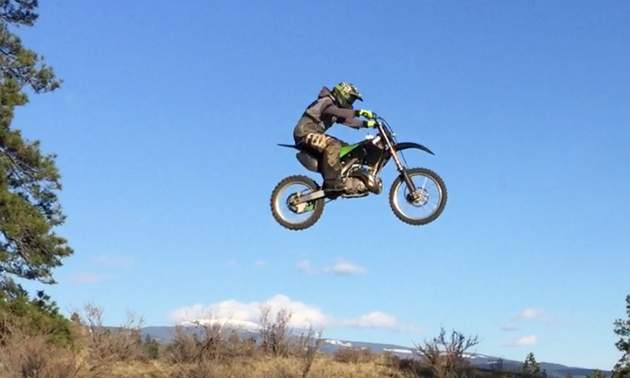 Great weather, tons of fun! I was trying to get a shot of my wedding ring in the rearview mirror, perfect timing as my husband Paul drove through the shot." 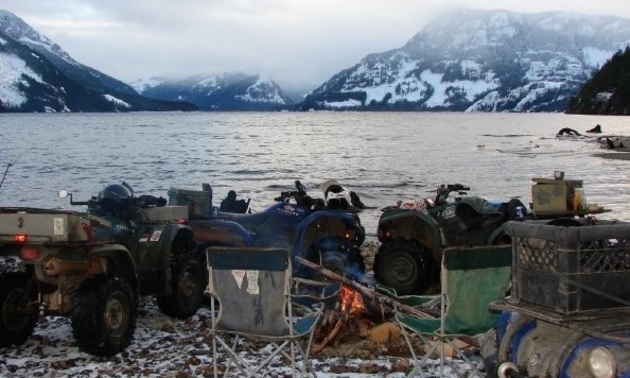 Chilliwack, B.C., has tons of great places to go quadding. 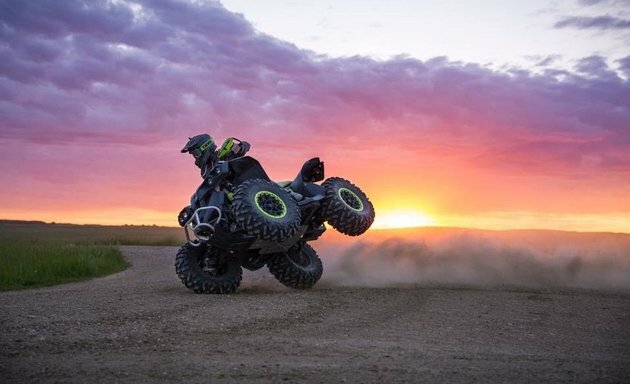 "I seen the amazing sky from the setting sun and told my brother to hop on his Renegade. We went out and tried to get a drifting photo. The tires grabbed and he was sent into a bicycle. 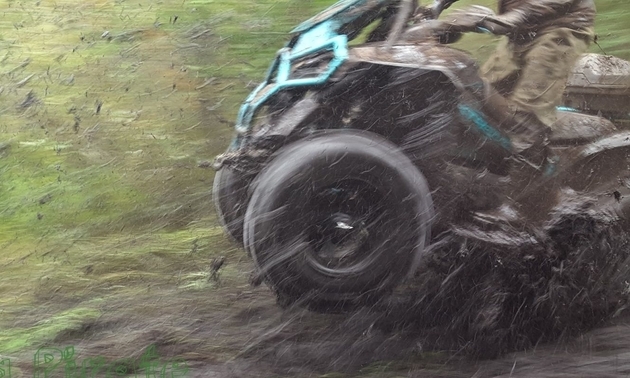 He recovered and landed on all four wheels, limping away with a sore ankle." 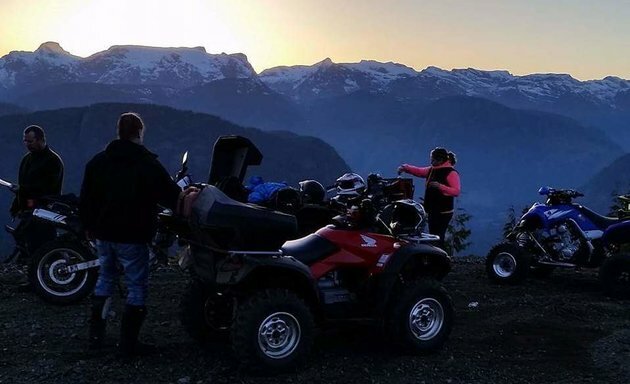 These riders took the opportunity to see the Comox Glacier. 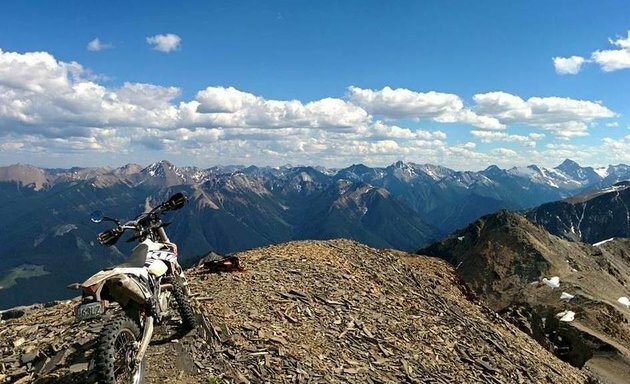 This shot captured the view from atop a mountain - the elevation was 9,000 feet!